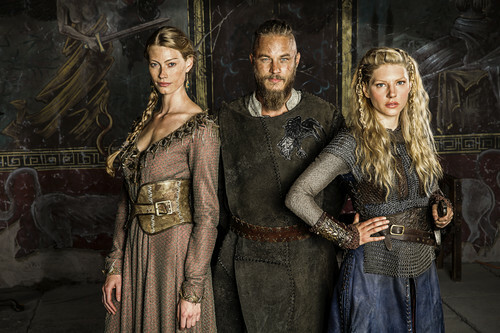 Vikings Season 2 - Aslaug, Ragnar and Lagertha. . HD Wallpaper and background images in the vikings (serial tv) club tagged: photo vikings history channel season 2 ragnar aslaug lagertha. I have a crush on Aslaug. But I also still love Lagertha. Can I be in love with both? ?